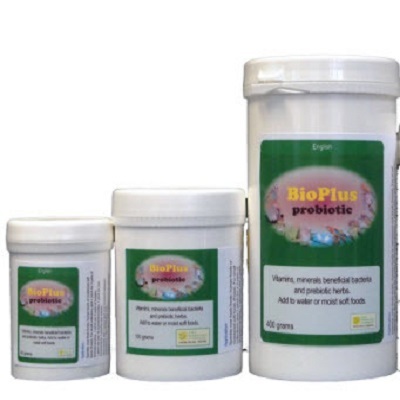 Multi-strain probiotic for birds with vitamins, minerals, yeast extracts and glucose polymers. Restores and refreshes beneficial gut bacteria and conditions the gut to make it more favourable for friendly bacteria. Used twice a week, it ensures a healthy gut flora and helps support the bird's resistance to gut infections. BioPlus stimulates efficient gut function and improves the bird's ability to absorb nutrition from the diet.